Premier Jet Training was started from jet aircraft ground and flight instructors trying to provide a better training experience to customers. Instructors offering individualized mentoring and instruction services united their services in Premier Jet Training. This allowed to have the financial needs and funds to acquire the best training aids, training tools, cockpit trainers, simulation devices, and aircraft. 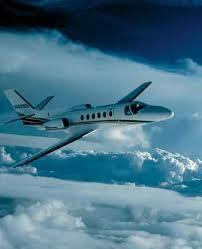 Premier Jet Training is a one stop school for any citation type rating. Premier Jet Training is located in Stuart, Florida. The company headquarters and main offices are based at the Stuart airport. The company is owned by two owners and operated by a General Manager, Director of Training, and supported by and executive administrator. The instruction is completed by four ground instructors, two simulation instructors, and five flight instructors. Check-rides are completed by four different FAA examiners. Premier Jet Training offers advanced type rating courses for Citation aircraft. The ever changing complexity of aircraft systems and avionics, requires a different multifaceted active hands-on training approach. Premier Jet Training offers a combination of simulation and in aircraft flight training to maximize the training experience. There are many different training models to meet individual needs from the aircraft owner who wishes to be trained in his or her own jet aircraft to the professional pilot. Most Insurance companies require simulator-based training, Premier Jet Training offers both in a combined package. Given our past experience and growing capabilities, Premier Jet Training gives quality jet training at competitive prices. Premier Aviation is committed to provide exceptional jet type rating training to Citation pilots while maintaining the highest standards of proficiency, safety, quality, and customer service.